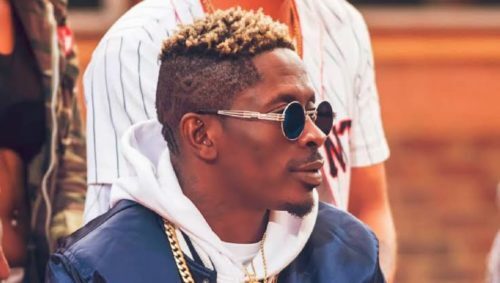 Ghanaian dancehall superstar Charles Nii Armah Mensah Jr. better known by his stage name Shatta Wale is split from his fiancee. In a shock news, the ‘Gringo’ crooner parted ways with his fiancee and baby mama. This comes just a few months after he publicly proposed to her. The proposal was at the official launch of his ‘Reign’ album last year October. Shatta Wale took to social media to share some message to his baby mama Shatta Michy which indicated the two are no more together. He said he would continue to be a supportive father to his son Majesty. He said separating from her was painfully but it was inevitable.